One of the most unusual pieces of women’s clothing is the leg warmers. The leg warmers associate on cold weather. They are warm, comfortable and at the same time you can create a unique style with them. The leg warmers can be combined with romantic flower dresses, pants and shorts, in other words, you can combine them whatever you like. It is important the color and the texture of the leg warmers to match with the other wardrobe. The material from which the leg warmers are made can be different. In the winter they are usually knitted and warm. The style of knitting can be different. 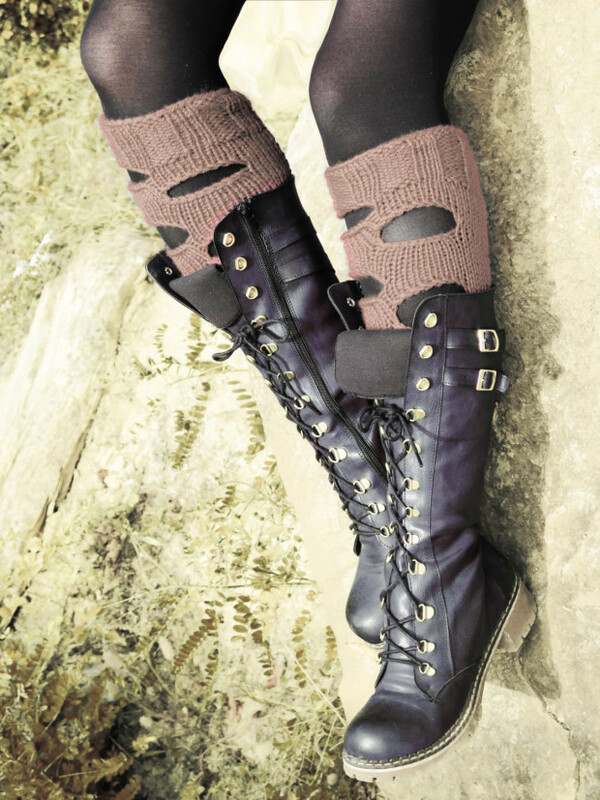 Tall leg warmer can be combined with clothes above the knees, and the short leg warmers can be combined with clothes below the knees. When you choose leg warmers – be careful! The leg warmers with horizontal stripes will make the legs thicker, and the ones with vertical stripes will make the legs skinnier. 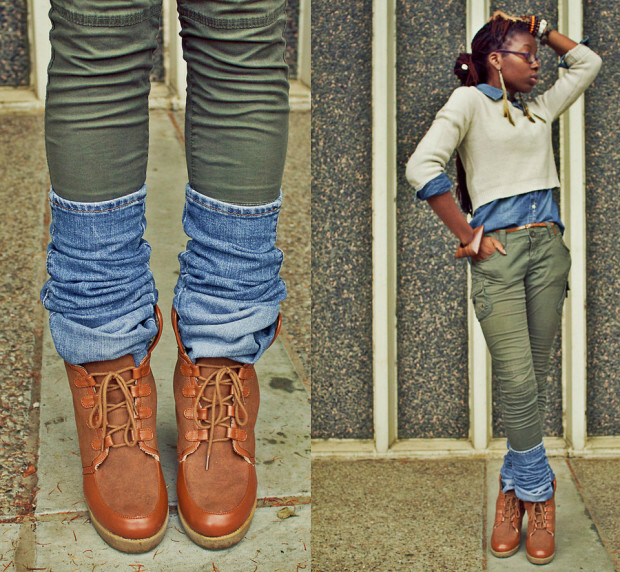 The leg warmers can be combined with every kind of shoes, from sneakers to shoes with high heels. 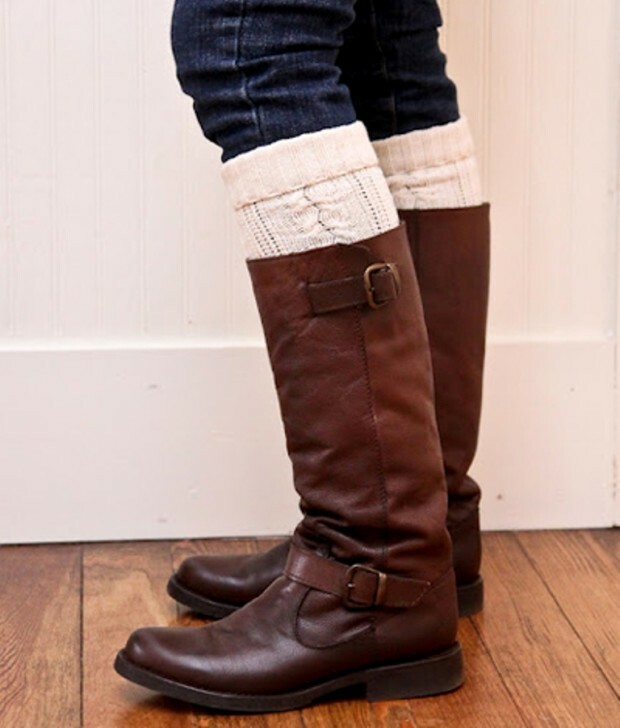 Leg warmers in a combination with high heels will make the leg look visually longer. It is a real deal for bigger and shorter girls. You can make leg warmers yourself (i.e. DIY Leg Warmers), and decorate them as you like. 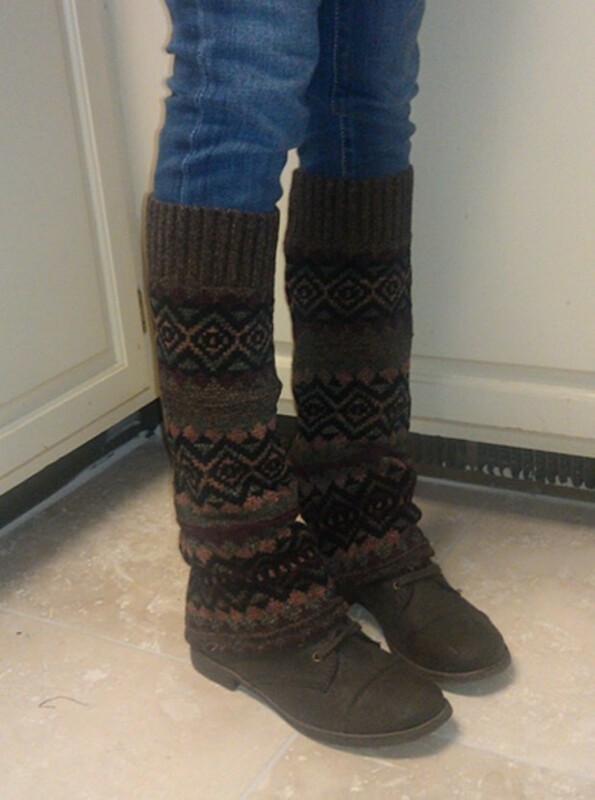 If you can’t knit, you can use an old sweater, and make leg warmers from it. 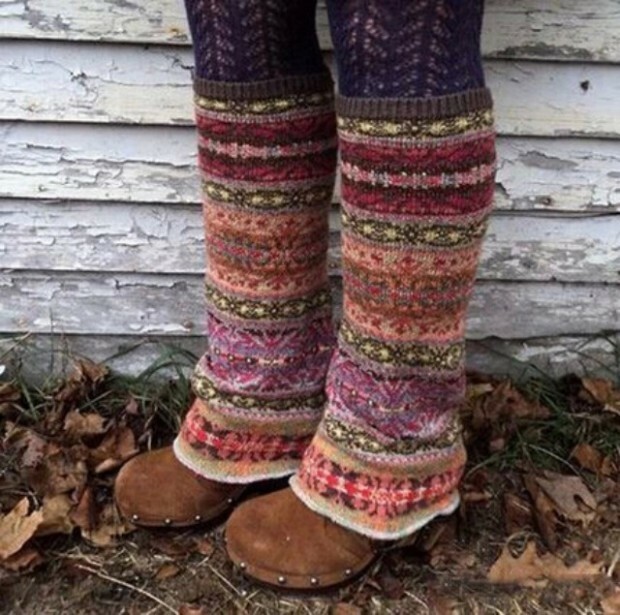 Those white leg warmers, denim leg warmers, or maybe the ‘how-to-guide’ on making leg warmers? 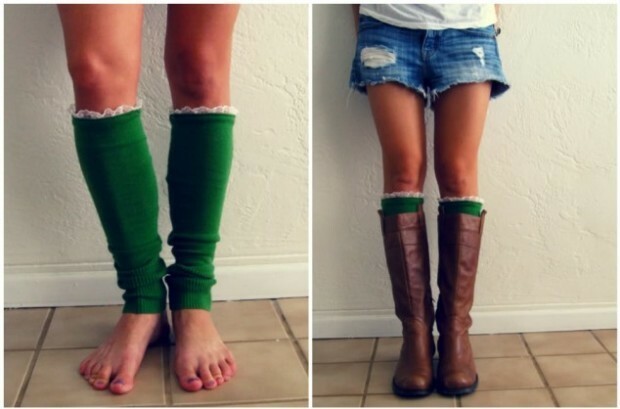 Great ideas for DIY leg warmers!! I like the number 10!! 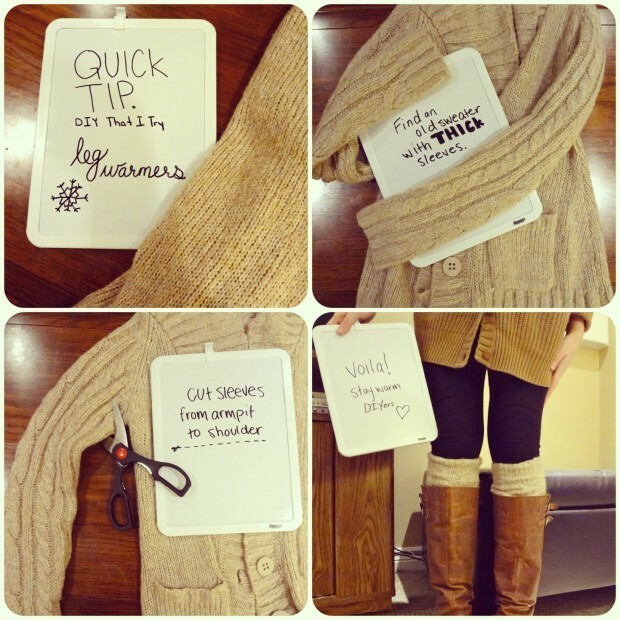 thanks for the guide on making the leg warmers out of old sweater ! The ones made out of the jeans that are on the green pants, are the ugliest things Ive ever seen.